A smile can make someone’s day. A smile can light up a room and be burned into a memory long after it’s gone. A smile is the universal language for love, happiness, and joy. But if you’re embarrassed by or hiding your smile, the consequences can run much deeper than aesthetics. Your self-esteem is a huge part of your mental and emotional health, and your quality of life, and thankfully we live in a day and age where improving the look of your smile is simple and affordable. If you’re ready to share your joy with the world, we would be honored to be the team to help you. Get in touch with us today to get started! Teeth staining is the primary cosmetic concern for most of us, because our teeth tend to naturally discolor with age, and with the help of some of our favorite vices. Thankfully, it’s also the easiest to correct! There are plenty of whitening products out there, but only a professional whitening treatment can provide minimal sensitivity and the most dramatic results. At Magnolia Family Dentistry, we have several options available including in-office bleaching and take-home whitening kits from the world’s leading whitening brands. 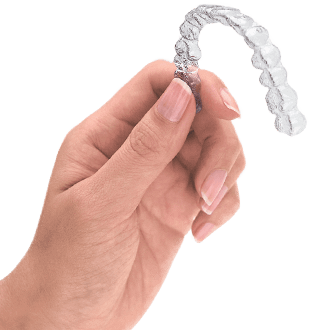 Invisalign is a simple, comfortable, and discreet way to straighten your smile without invasive techniques and embarrassing hardware. Invisalign can correct minor alignment issues as well as facilitate more major bite correction. If your smile could use a makeover, but you’re not really sure where to start, you might be a great candidate for veneers. 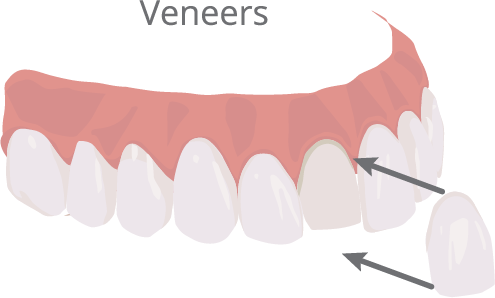 Veneers can correct a number of cosmetic grievances in a single treatment. At Magnolia Family Dentistry, we use e.max® veneers that are all-ceramic and preferred for their longer-lasting, aesthetic qualities. If your smile isn’t perfect and there’s room for improvement, but you’re not ready or able to commit to more extensive treatments like veneers, you may be a perfect candidate for a little bonding. If you have any questions or you’re ready to schedule a visit with your Midwest City cosmetic dentist, Dr. Leaha Nels at Magnolia Family Dentistry, give us a call today or request an appointment online!